Ammini Kozhukattais are savory mini rice balls, steamed and tempered with mild spices. Very simple to make but it tastes really good. My daughter loves making and she prepared this mini savory balls in this weekend..
1.Heat a non stick Kadai, add the 2 cups of water and bring it to boil. Add a pinch of salt and about 1 tsp of sesame oil to this water. 2.Once the water starts boiling add the flour little by little and mix well without forming lumps until it comes together as a mass. 3.Cover and rest it for about 5 to 10 mins. Then, apply some oil to your hands and knead into smooth dough. 4.Pinch out a small amount of dough and shape it into a small ball. Repeat procedure with the entire dough. 5.Now place these in a steamer and steam cook for about 5 to 7 minutes. The balls will be shiny when done. 6.For the tempering, Heat a Kadai with a tsp of oil. Temper with mustard, urad dal and red chillies. 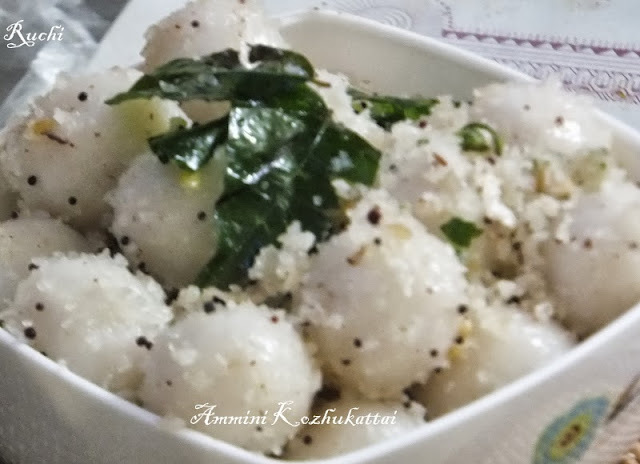 7.Finally add a pinch of asafetida and curry leaves and then add the steamed rice balls and .& grated coconut.mix well. 8. Delicious Mini/Ammini Kozhakattais are ready to be served. 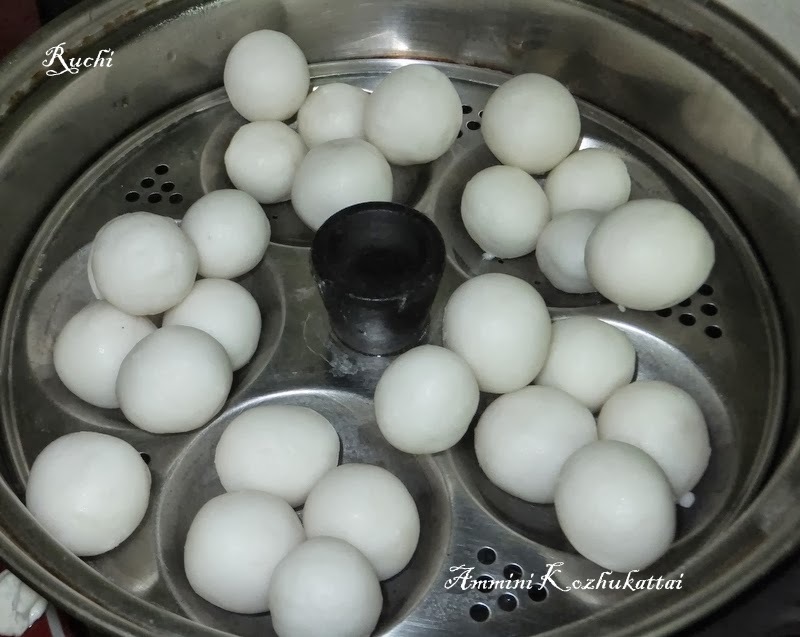 Give me that bowl akka..Love this cute balls..